Ten States of the country viz. Andhra Pradesh, Bihar, Chhattisgarh, Jharkhand, Maharashtra, Madhya Pradesh, Odisha, Telangana, Uttar Pradesh and West Bengal are considered to be the LWE affected States in varying degrees. The CPI (Maoist), which is the largest Maoist outfit in the country, is responsible for most of the violent incidents in the country. The CPI (Maoist) cadres are also making forays at the tri-junction of Kerala, Karnataka and Tamil Nadu and trying to establish their bases in the area. The CPI (Maoist) party is trying to establish organizational bases in the North East with a view to forge relations with other insurgent groups to meet its military requirements. The Additional Central Assistance (ACA) for the LWE affected districts, being implemented by the Planning Commission and the Road Requirement Plan (RRP-I), being implemented by the Ministry of Road Transport and Highways, are the two major developmental schemes, which focus specifically on the LWE affected districts. The Additional Central Assistance for LWE affected districts, which focuses on creation of public infrastructure and services, was earlier being implemented as the Integrated Action Plan (IAP) since the year 2010-11. The continuation of IAP as ACA Scheme for the remaining years of 12th Five Year Plan was approved by the Government on 01.08.2013. The scheme which initially covered 60 districts, now covers 88 districts including 76 LWE affected districts in the 10 LWE affected States (Andhra Pradesh-04, Bihar-11, Chhattisgarh-14, Jharkhand-17, Madhya Pradesh-10, Maharashtra-04, Odisha-18, Telangana-04, Uttar Pradesh-03 and West Bengal-03). The fund allocation per district per year under the scheme was Rs. 25.00 crores in the year 2010-11 and Rs. 30.00 crores in the subsequent years. Under the scheme, out of 1,46,878 projects taken up in 10 LWE affected states, 1,20,524 projects have been completed up to 04.12.2014 and against a total Central funds of Rs. 9,059.00 crores released, the expenditure reported is Rs. 7,274.00 crores. RRP-I, being implemented since 2009-10 in 34 LWE affected districts of 08 States (Telangana-01, Bihar-06, Chhattisgarh-07, Jharkhand-11, Madhya Pradesh-01, Maharashtra-02, Odisha-05 and Uttar Pradesh-01) envisages development of 5,477 kms of roads at an estimated cost of Rs. 7,300.00 crores. Out of total 5,469 kms length sanctioned up to 30.11.2014, 3,219 kms has been completed with an expenditure of Rs. 4,268.00 crores. 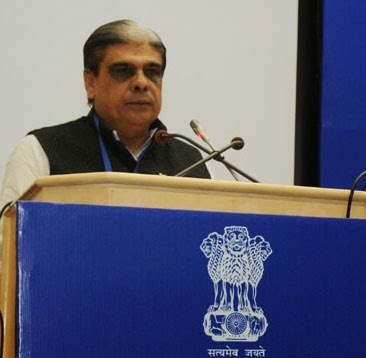 This was stated by the Minister of State for Home Affairs, Shri Haribhai Parathibhai Chaudhary in a written reply to Shri Rajendra Agarwal in the Lok Sabha today. Indian Missions grant visa to foreign nationals based on detailed instructions issued by the Ministry of Home Affairs from time to time with regard to various types of visas. Visa is issued only after proper verification including checking their names from Black List. With the implementation of various modules under Immigration, Visa and Foreigners Registration & Tracking (IVFRT) project, Indian Missions/Posts are in a better position to verify the credentials of a foreigner. Presently 63 Missions/Posts abroad have outsourced Consular/Passport/Visa related services to private companies. These companies perform only peripheral work such as receipt of applications, collection of Government of India fee and transfer to the designated Government of India accounts, dispatch of collected documents to Mission/Post and return the same to the applicants after services have been rendered. The outsourcing company is also responsible for enrolment of biometric data and transfer the same to the Mission/Post. The sensitive policy related matters and grant of visas and other services are handled by authorised officers in Indian Missions only. Ministry of External Affairs has also issued detailed guidelines to outsourcing companies in the Request for Proposal (RFP) for handling documents and data of the applicants in a secured manner. This was stated by the Minister of State for Home Affairs, Shri Kiren Rijiju in a written reply to Dr. Shrikant Eknath Shinde in the Lok Sabha today. The primary responsibility of rescue, relief and rehabilitation in the wake of natural disaster rests with the States. The State Government of Jammu and Kashmir with the support from the Central Government is taking rehabilitation measures for flood affected people. The State Government of J&K has started the rehabilitation measures in the wake of the recent floods. There was a balance of Rs. 1105.60 crore in the State disaster Response Fund of Jammu & Kashmir for meeting the rescue and relief works. In order to support the affected people of Jammu & Kashmir, the Government of India has released an amount of Rs. 94.33 crore, in advance, from SDRF on 5-11-2014. Besides, the Government of India has released Rs. 1000 crore under Special Plan Assistance (SPA) on 22.10.2014 to the State for flood relief and rehabilitation. The State Government has so far not received any funds from International Bodies. Foreign Contribution Regulation Act, 2010 and Foreign Contribution Regulation Rule, 2011 have come into force on 1st May 2011 to regulate the contribution to voluntary organization by foreign agencies. Further, it is to be noted that normal criminal and civil law of the land continues to operate regarding the utilization of foreign contribution. 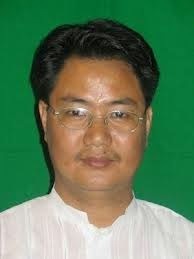 This was stated by the Minister of State for Home Affairs, Shri Kiren Rijiju in a written reply to Adv. Chintaman Navasha Wanga and Shri Badruddin Ajmal in the Lok Sabha today. The Government has established four Regional Hubs of National Security Guard (NSG) at Chennai in Tamil Nadu, Hyderabad in Andhra Pradesh/Telangana, Kolkata in West Bengal and Mumbai in Maharashtra. These hubs have been operationalized on 30th June 2009 and 1st July, 2009. On receipt of a request from the Government of Gujarat, the Union Government has conveyed ‘in-principle’ approval vide MHA letter dated 18.3.2011 for setting up of a NSG Regional hub in Gujarat, subject to the Government of Gujarat providing land free of cost, at a location found suitable by the NSG. A piece of land measuring 41 acres, offered by the State Government, at Village – Randesan, Taluka & District – Gandhinagar (Gujarat) has been assessed by a board of officers of MHA, CAPFs and NSG on 31.7.2014 and has been found suitable for establishment of NSG hub. As suggested by the Government of Gujarat, a team of NSG engineers has carried out joint survey along with officials of Government of Gujarat during 20.8.2014 to 21.8.2014 and submitted the recommendations to MHA. Based on the report, the state government has been requested vide MHA letter 25.9.2014 to execute certain developmental works prior to handing over the land to NSG for construction. This was stated by the Minister of State for Home Affairs, Shri Kiren Rijiju in a written reply to Shri Ramsinh Rathwa in the Lok Sabha today. Bangladeshi immigrants who have come to India and residing in various parts of the country are provided citizenship as per the provisions of the Citizenship Act, 1955. However, there is a special provision of section 6A of the Citizenship Act applicable to those Bangladeshi immigrants who have migrated to Assam. As per section 6A of Citizenship Act, 1955, all persons of Indian origin who came before the 1st day of January, 1966 to Assam from the specified territory (including such of those whose names were included in the electoral rolls used for the purposes of the General Election to the House of the people held in 1967) and who have been ordinarily resident in Assam since the dates of their entry into Assam shall be deemed to be citizens of India as from the 1st day of January, 1966. It further provides that every person of Indian origin who came to Assam on or after the 1st day of January, 1966 but before the 25th day of March, 1971 from the specified territory and has been ordinarily resident in Assam and has been detected to be a foreigner shall register with the Registering Authority. If his/her name is included in electoral roll for any Assembly/Parliamentary Constituency in force on the date of such detection, his name shall be deleted therefrom. A person so registered shall be deemed to be a citizen of India for all purposes as from the date of expiry of a period of ten years from the date on which he has been detected to be a foreigner. In respect of persons who came after 25th day of March, 1971, the Foreigners Act, 1946 will be applicable. Central Government is vested with powers to deport a foreign national illegally staying in the country under section 3(2) (c) of the Foreigners Act, 1946. The powers to identify and deport such illegally staying foreign nationals have also been delegated to the State Governments/Union Territory Administrations. 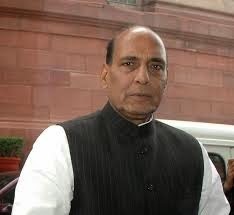 A revised procedure for detection and deportation of illegal Bangladeshi immigrants has also been set out and circulated to State Government/ Union Territory Administrations in November, 2009, which has been partially modified in February, 2011 and further modified in February, 2013. The procedure includes sending back then and there, the illegal immigrants who are intercepted at the border while entering India unauthorisedly. As regard Assam, detection of foreigner is done as per the provision of Foreigners (Tribunal) Order, 1964 as amended from time to time. This was stated by the Minister of State for Home Affairs, Shri Kiren Rijiju in a written reply to Smt. Riti Pathak in the Lok Sabha today. “I rise to report an extremely unfortunate incident of sexual assault on a young woman in the night intervening 5/6.12.2014. The Government of India strongly condemns this dastardly act. It will be ensured that all necessary steps are taken to bring the offender to justice. On 5.12.14 during late evening hours, a 26 year old woman (name withheld for privacy and legal reasons) had hired a taxi through the online cab service ‘UBER’ at around 10.30 PM for going from Vasant Vihar area to Inder Lok in the jurisdiction of PS Sarai Rohilla, North District. The woman works in Gurgaon and after her office hours she had come to Vasant Vihar with some friends. The woman reported that while sitting in the taxi, she dozed off for a while and then suddenly realized that the taxi was parked at an isolated place and the driver was trying to molest her on the back seat. She tried to raise an alarm but the driver threatened her of physical injury and then she was sexually assaulted in the car. After committing the crime the driver dropped her at her home at around 1 AM and threatened her again not to disclose about the incident to anyone. As soon as information was received by the police, a case was registered vide FIR No. 1291/14 dated 6.12.14, U/S 376/323/506 IPC PS Sarai Rohilla. Immediately police teams were formed to identify and locate the culprit. The woman was sent for medical examination and she was also counselled by an NGO volunteer authorized by Delhi Commission for Women. Following the clues at hand and through painstaking investigation, the culprit driver was zeroed down as one person from Mathura, owner of the vehicle Swift Desire No. DL-1YD 7910. He has this vehicle registered with Uber Cab Service. The Vehicle used in the crime has been found and brought to Delhi where it will be subjected to thorough forensic examination. The accused was arrested on 7.12.2014 from Mathura and was brought to Delhi where he was produced before the court on 8.12.2014 and he has been sent to three days police remand. The Delhi Police is also exploring the issue of possible legal liability of the taxi service ‘UBER’, in the crime committed. The Transport Department of the Government of the NCT of Delhi has banned the said company from providing any transport related service in the NCT of Delhi.